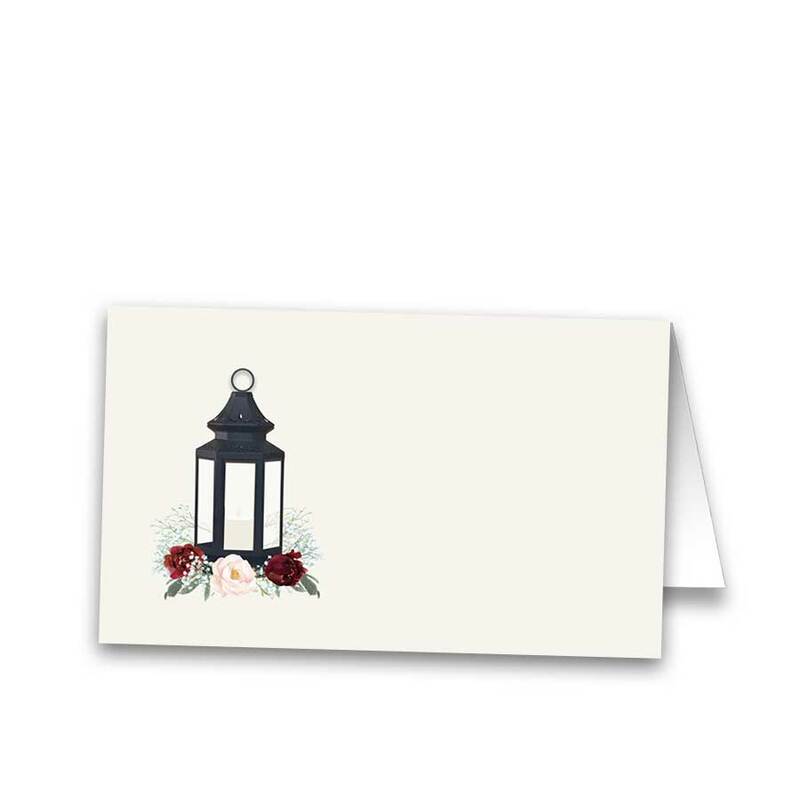 The rehearsal dinner invitation design has been created with watercolor florals hand painted in blush and burgundy. 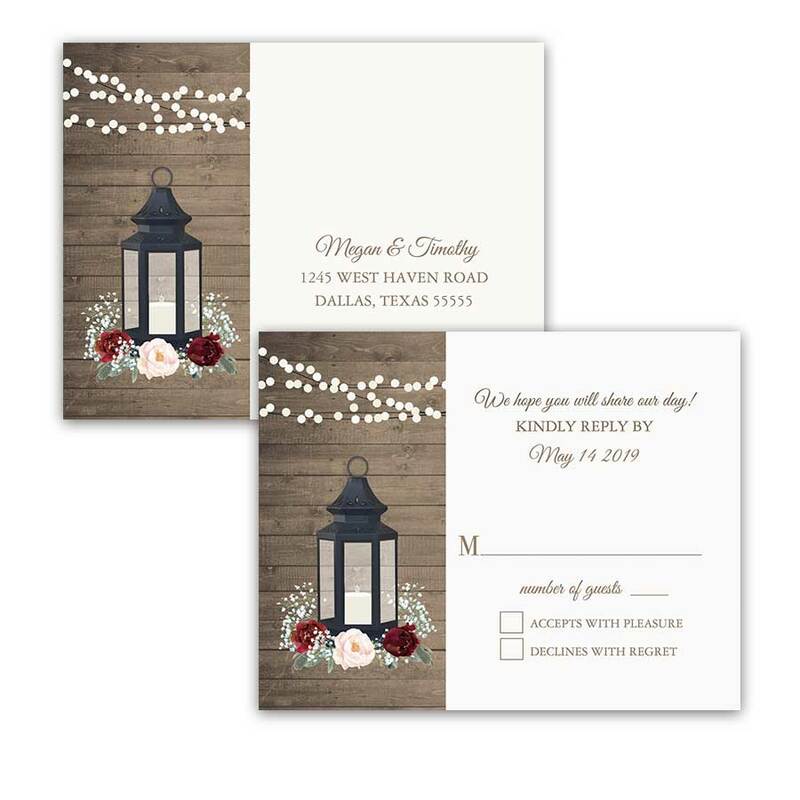 Invite your wedding party to your rehearsal dinner in style! 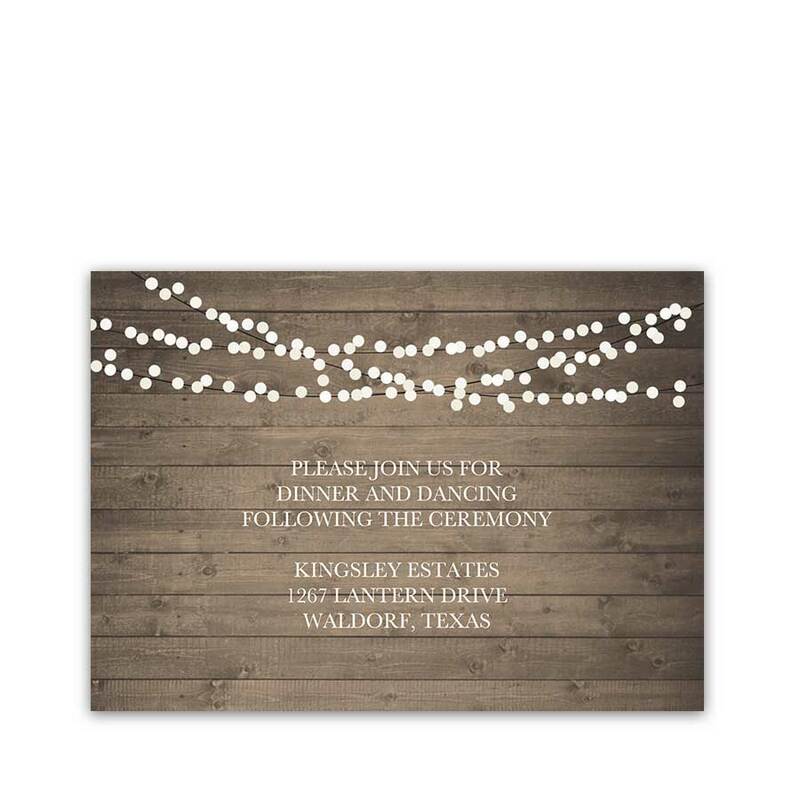 Each invitation arrives with a coordinating envelope. 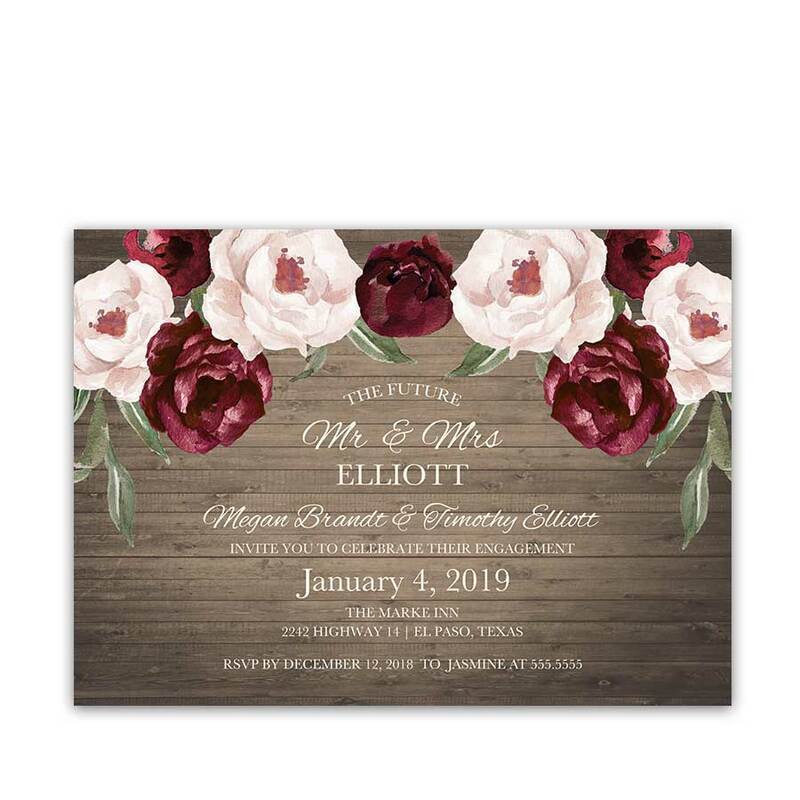 Floral Wedding Rehearsal Dinner Invitations Burgundy Blush. 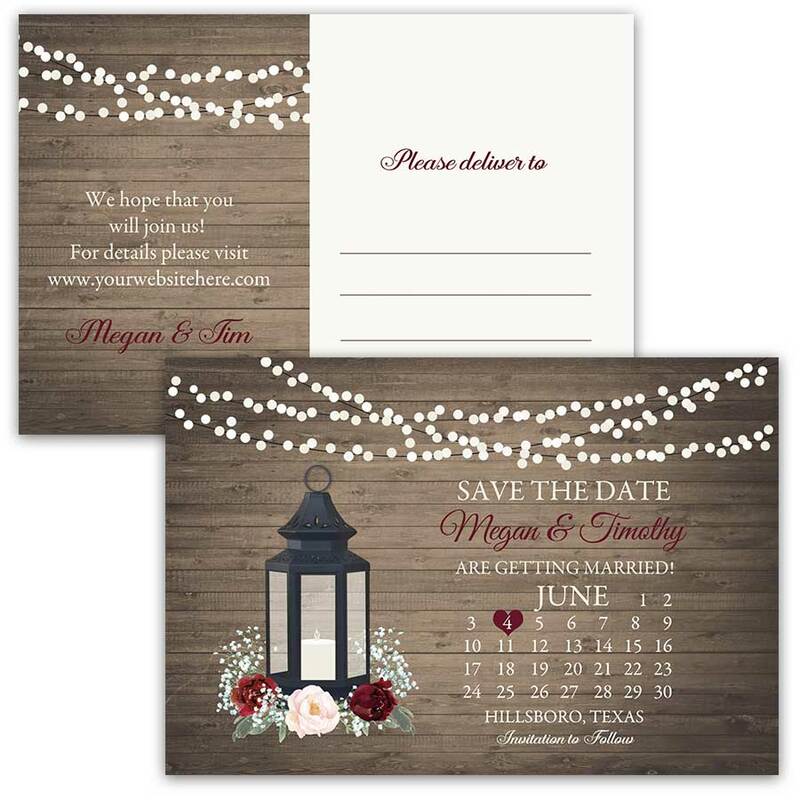 Designed because burgundy and blush florals and gorgeousness are the basis of your wedding. This evening we eat, drink and rehearse for the wedding. 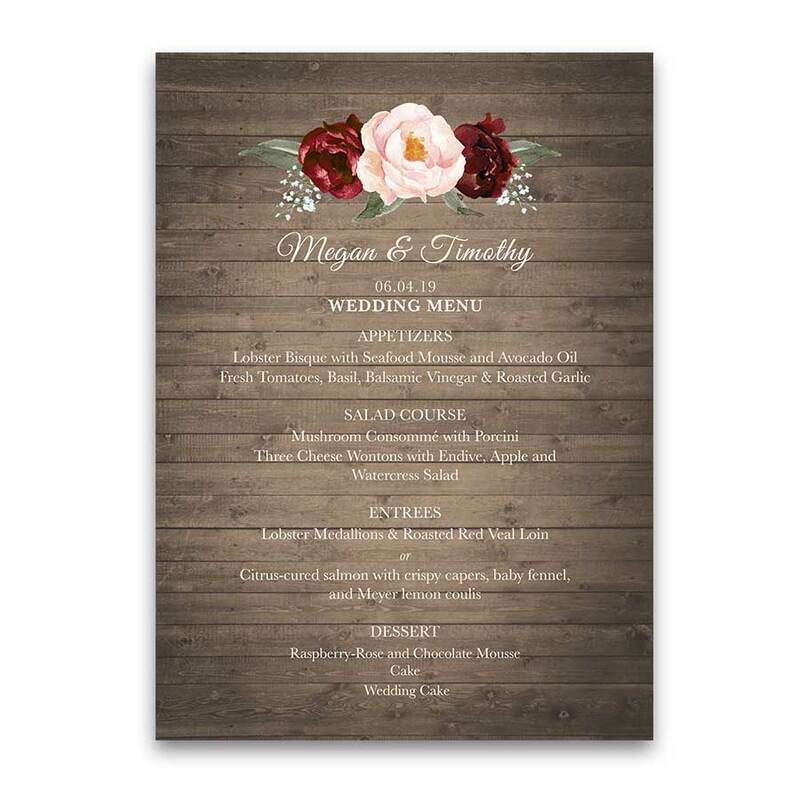 A floral burgundy and blush watercolor design invites your guests to do just that. Welcome to the Indie Farm Collection. 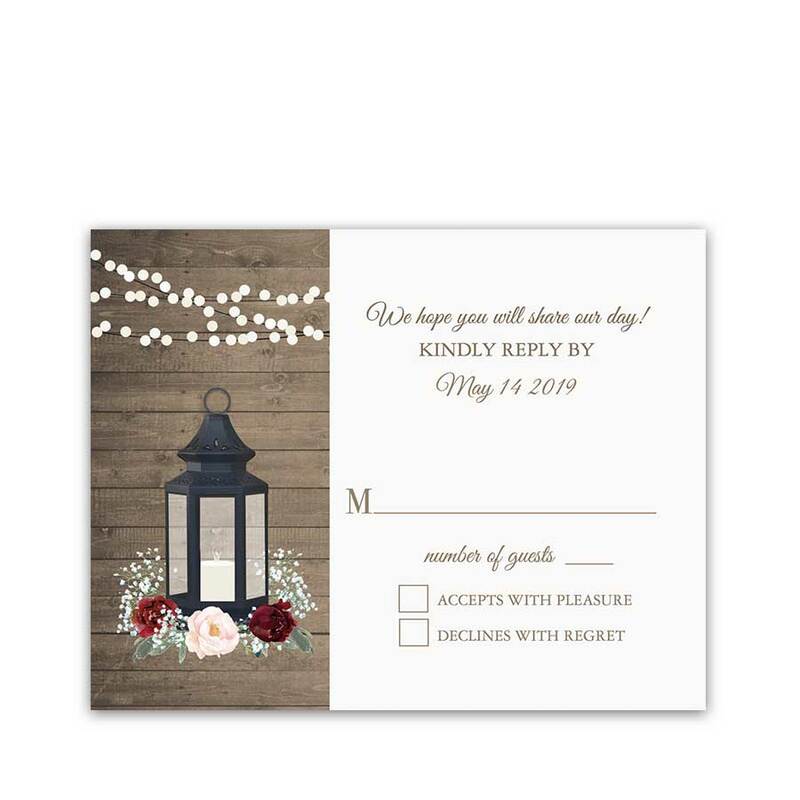 Because you are preparing for the wedding of two special people, we offer this stylish and modern Rehearsal Dinner Invite. 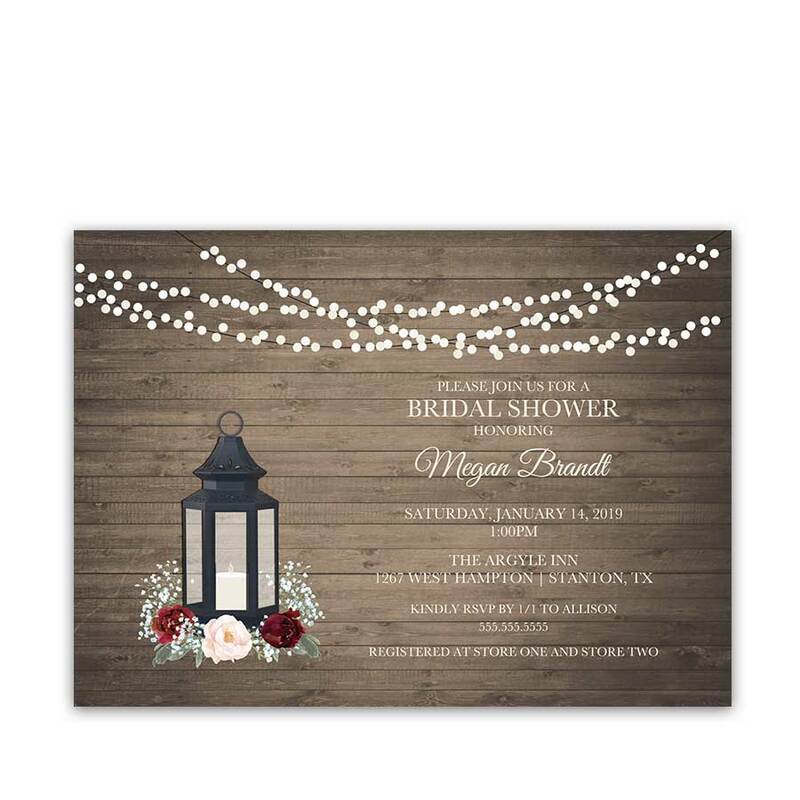 This unique Floral Wedding Rehearsal Dinner Invitations Burgundy Blush boasts hand painted watercolor florals in burgundy and blush. 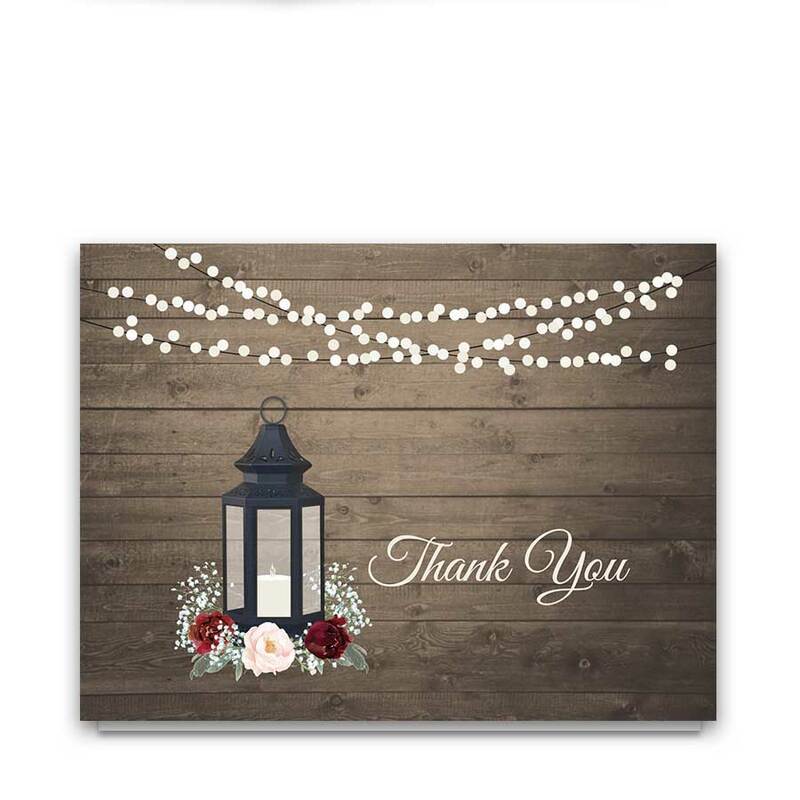 We’ve added a stunning string lights and barn wood to complete the card. 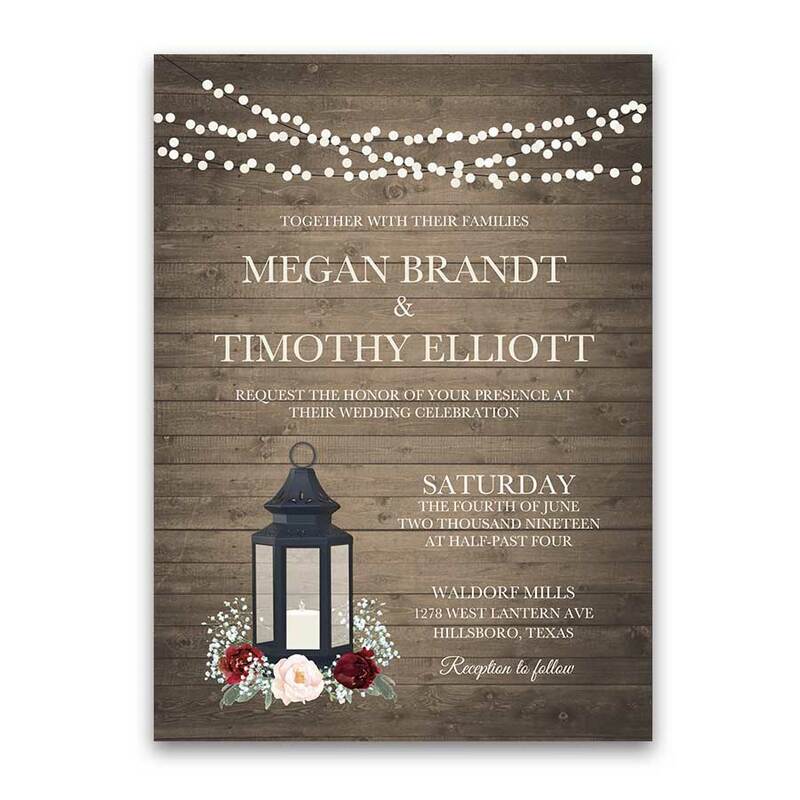 We also offer an entire wedding suite with the same floral inspirations in the store. 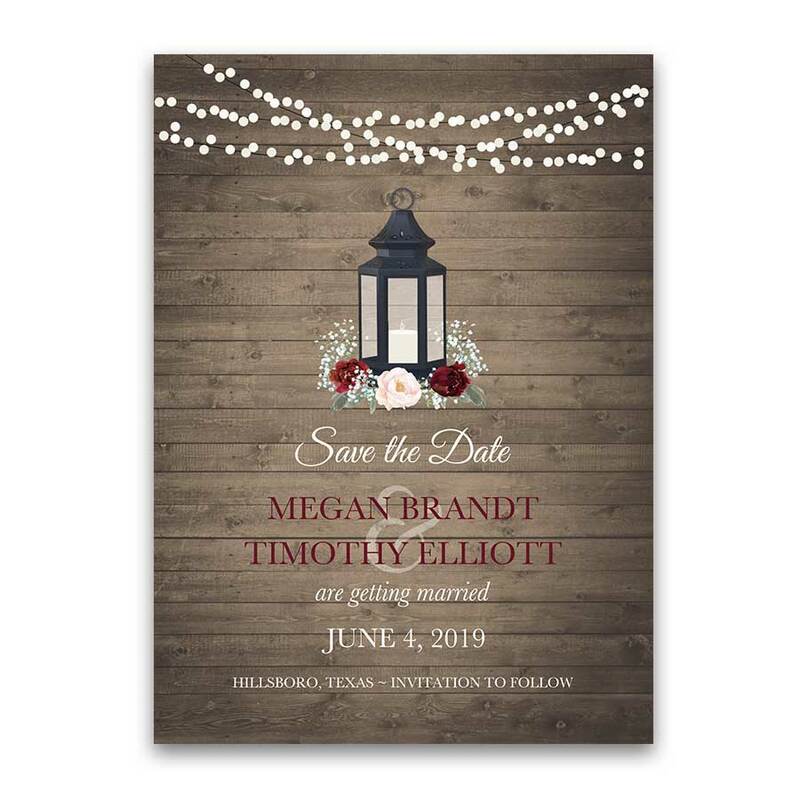 Especially relevant for: floral weddings, garden weddings, rustic weddings, burgundy weddings, bohemian weddings, and elegant weddings alike in summer, winter or fall. 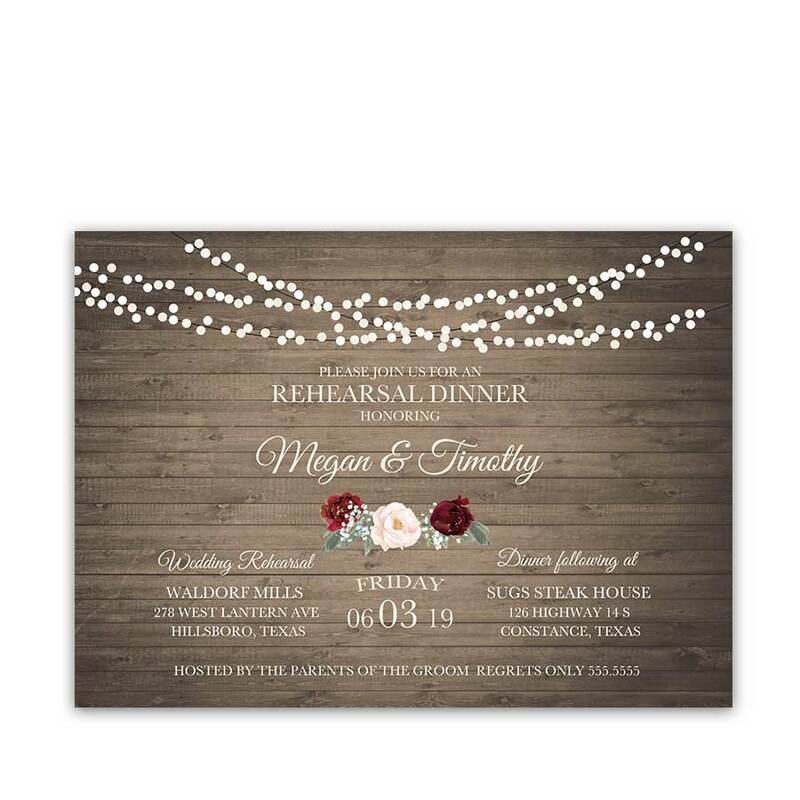 To see more rehearsal dinner invitations offered, click this link. 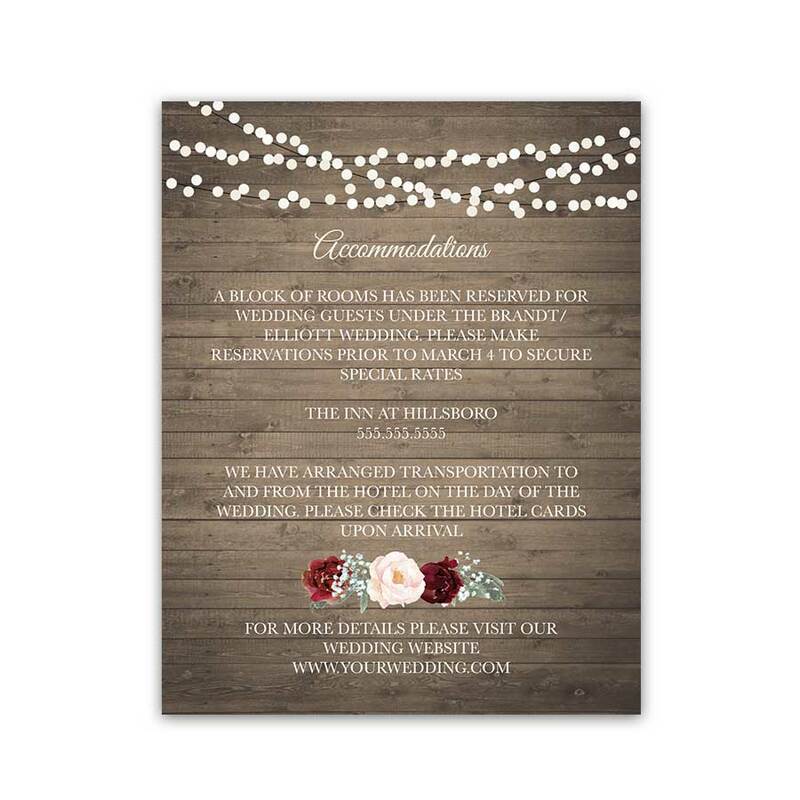 The Floral Wedding Rehearsal Dinner Invitations Burgundy Blush measure 7 inches wide by 5 inches long.